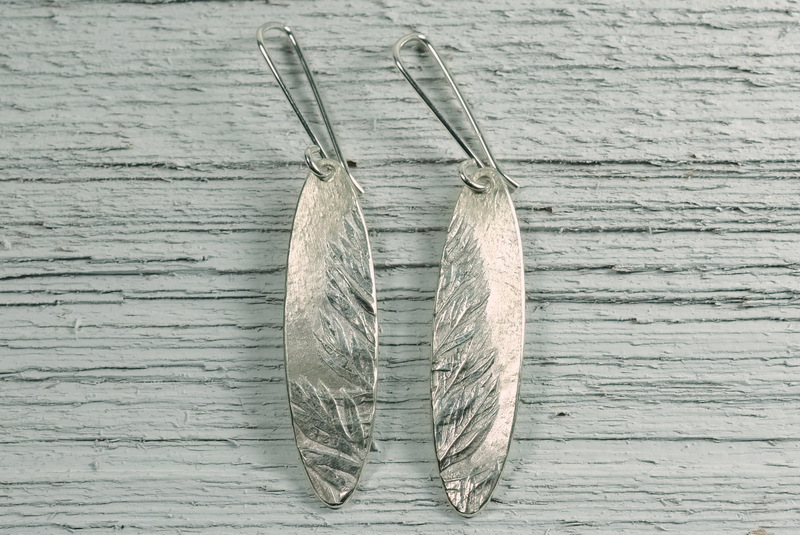 Handmade silver earrings on sterling silver ear wires. The texture is made from the tops of carrots from my veggie garden. They measure ~3/8"x2-3/8" (~10mm x 55mm).